War, religious fervor, and technology have all given rise to numerous end-of-days predictions —there were more than a dozen in the last decade alone. 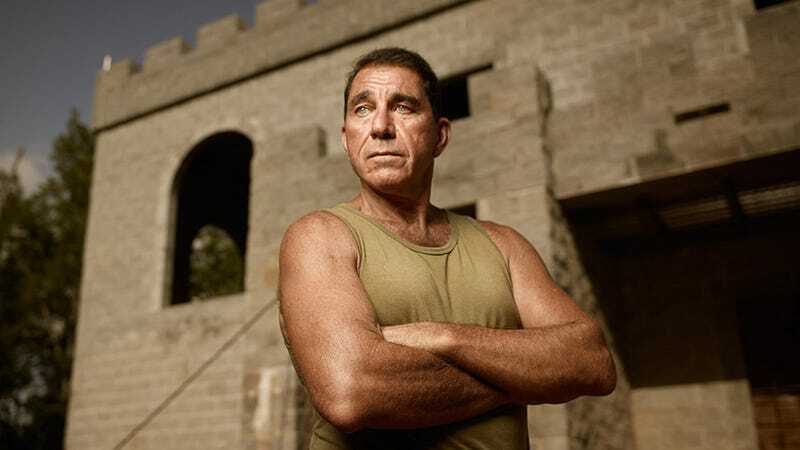 Even though humanity presses on, enterprising souls like Brent Bruns of National Geographic Channel’s new series Doomsday Castle (which premieres tomorrow at 10/9c) have taken it upon themselves to prepare for the worst. See, Brent decided to build a castle to protect himself and his five kids from imminent oblivion. You read that correctly: a castle. I sat down with Brent to ask what he thinks will cause the end of the world, and what it’ll take to survive. Brent Bruns doesn’t quite match the stereotypical profile of a doomsday heralder. He’s neither a religious fundamentalist nor a conspiracy theorist. While his beliefs are, he admits, unorthodox, he does his level best to ground his vision of the future in reality. As a former Army Infantry Training officer with a background in engineering, he believes that an EMP (an electromagnetic pulse caused by either a nuclear detonation in the atmosphere or a solar flare) is the most likely cause of a countrywide disaster. According to Brent, the end of the world as we know it doesn’t have to entail widespread destruction like that caused by a major earthquake or tsunami. There's infrastructure in place to deploy relief efforts. But if you knock out the infrastructure that everyone, including the relief efforts, relies on, you get chaos. Yes, imagine living without food, oil for heat, and Amazon deliveries. So, when considering how chaotic it could get out there, it’s important to change how you think about resources and what your family needs, and create a plan for how to get by. Brent calls this philosophy of life “Timeline Survival,” a kind of doomsday mindfulness that entails starting with enough resources to stay alive for a week or more. Then, you improve your skills so you can scale up and sustain yourself indefinitely. Brent started doing this in the fall of 1999 — in the middle of Y2K fever — by building a bunker that would keep himself and his children safe should the grid go down, complete with provisions to last two years. Even though Y2K came and went, Brent kept the bunker. Four years later, he saw fit to expand on it by building a castle strong enough to protect against the elements and withstand firepower short of a bazooka or grenade blast. According to Brent, should an EMP knock out power across the country, major metropolitan areas will be hit the hardest. The problems in urban centers are two-fold; they are most reliant on infrastructure and food chains and they have the least amount of space. Long story short: get the hell out of Dodge. Big cities would feel the brunt of those blasts, and would be crippled for years thereafter. Clearing out and heading to the country (where you can start your own castle) is advisable. You’re gonna be out there for awhile. Brent settled on a castle because it has inherent value as a fortified home to keep out the apocalypse. But it also helps bring his family together. The castle is incomplete, and still needs protective fortifications – like a working catapult. That’s why he brought his children up to help. It’s their job to not only finish what their father started, but to also maintain his legacy. That means making mistakes and butting heads, but he believes it’s worth it. Permaculture is a form of environmental design that involves making use of the natural ecosystem to model a functional agricultural system around it. In short, a corner of forest can be used to grow basic annual crops. Thanks to Brent Bruns for taking the time to sit down and bear my questions. Be sure to watch Doomsday Castle tomorrow at 10/9c only on National Geographic Channel.